MEGADETH's new album, "Dystopia", debuted at No. 3 on The Billboard 200, having shifted 49,000 equivalent album units in the week ending January 28. 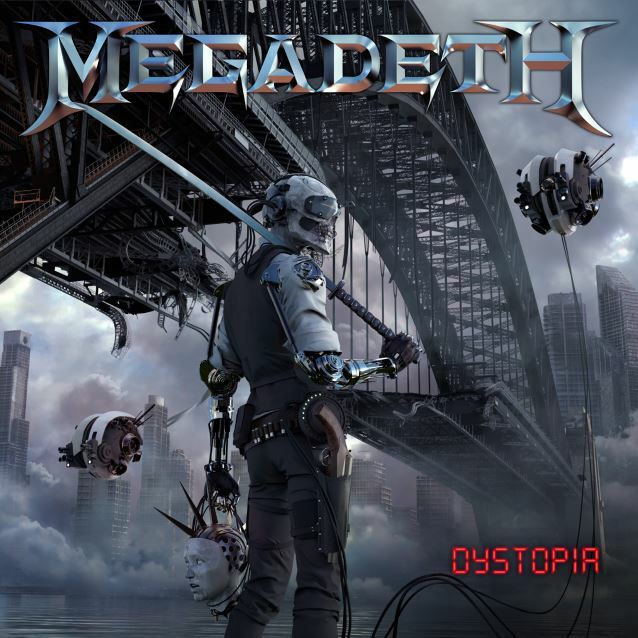 In terms of pure album sales, "Dystopia" opened with 48,000 copies, marking MEGADETH's highest-charting album since 1992's "Countdown To Extinction" debuted and peaked at No. 2 on the chart dated August 1 of that year. "Dystopia" also logs the group's best sales week since 2007, when "United Abominations" landed at No. 8 with first-week sales of 54,000. MEGADETH's previous album, 2013's "Super Collider", sold 29,000 copies in the United States in its first week of release to land at position No. 6 on The Billboard 200 chart. The disc followed up "TH1RT3EN", which opened with 42,000 units back in November 2011 to enter the chart at No. 11. The band's 2009 CD, "Endgame", premiered with 45,000 copies to debut at No. 9. This was slightly less than the 54,000 first-week tally registered by 2007's "United Abominations", which entered the chart at No. 8. 2004's "The System Has Failed" premiered with 46,000 copies (No. 18) while 2001's "The World Needs A Hero" moved 61,000 units in its first week (No. 16). Featuring 11 brand new tracks, "Dystopia" was released on both CD and LP, as well as digitally through all online partners on January 22 on Universal Music Enterprises / Tradecraft / T-Boy Records. With musical architect and band visionary Dave Mustaine at the helm, "Dystopia" was recorded in Nashville, Tennessee and mixed by Josh Wilbur (LAMB OF GOD, GOJIRA). 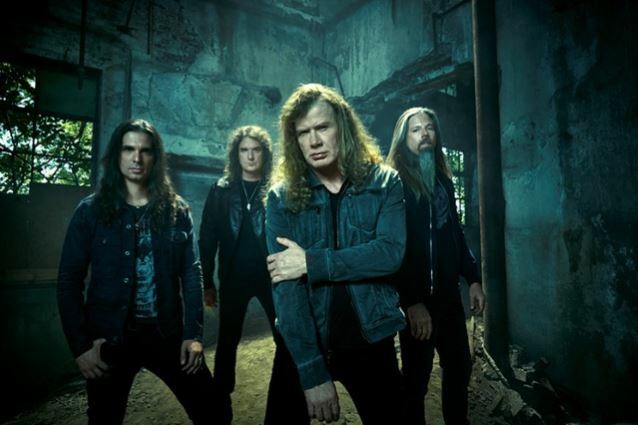 The rest of the MEGADETH lineup is comprised of new member Kiko Loureiro (of ANGRA), David Ellefson on bass, and drummer Chris Adler, who took time away from LAMB OF GOD to record "Dystopia". Recently, MEGADETH announced the details for the North American leg of their "Dystopia" world tour, which will kick off in Dallas, Texas on February 20. The North American leg will take them across the U.S, visiting 12 states and throughout Canada.